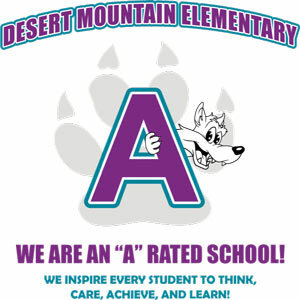 There are so many reasons you should make Desert Mountain Elementary (DME) School your educational partner. From our highly-qualified faculty and staff to our dedicated PTO volunteers, DME is committed to providing the best educational experience for your child. Welcome to the home of the coyotes! Inspire every student to care, think, achieve and learn! Welcome to the Desert Mountain Elementary School website! We are the home of the Coyotes and proud to be part of Queen Creek School District. You’ll find our school at the crossroads of Ocotillo and Hawes Roads in beautiful Queen Creek. Our elementary school educates students in kindergarten through 5th grade. Our dedicated faculty and staff provide a challenging curriculum in a loving and nurturing environment. This dedication has earned us the “Excelling” label by the state of Arizona. We hope you feel at home here at Desert Mountain. We want to provide you with the most informative, up-to-date website as possible. Spend some time browsing our pages. We know you’ll like what you find. Exceeds state and national averages in standardized test scores. Surpasses the state’s graduation rate with 92 percent of our students graduating. Stands as one of only nine school districts in the state to earn the Arizona Department of Education’s “A” rating for four consecutive years. With such a high success rate, our school is destined for academic achievement. 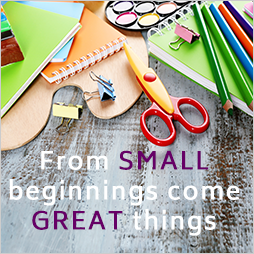 We pride ourselves in giving children the tools they need to excel in the classroom and in life. Beyond our first rate educational programs and pristine classroom facilities, DME’s state-of-the-art computer lab and library serve as media hubs connecting our students to the most reliable resources and information in a supervised learning environment. Our school proudly incorporates character education and leadership development into our curriculum. At DME, we make it our priority to offer students the support and supplemental instruction they need to achieve their personal goals and gain positive self-actualization. Desert Mountain Elementary School opened in 1996. We currently teach approximately 675 students in kindergarten through fifth grade here on our campus. We are proud of our school facilities and our highly qualified teachers. It is our goal to provide a caring and positive learning environment, which promotes respect and excellence in academic and social interactions. All students shall have the opportunity to achieve their potential through varied educational programs designed to meet their needs. Through communication and cooperation we create an enthusiastic learning climate. Life learning is our number one priority. Motto: Inspire every student to care, think, achieve and learn! Daily Schedule: 8:15 a.m.–2:45 p.m.